THE TERMS AND CONDITIONS OF CUSTOMER’S PURCHASE OF THIRD PARTY CLOUD SERVICES (“CLOUD SERVICES”) FROM SELLER ARE LIMITED TO THOSE CONTAINED HEREIN. ANY ADDITIONAL OR DIFFERENT TERMS OR CONDITIONS IN ANY FORM DELIVERED BY YOU ("CUSTOMER") ARE HEREBY DEEMED TO BE MATERIAL ALTERATIONS AND NOTICE OF OBJECTION TO THEM AND REJECTION OF THEM IS HEREBY GIVEN. 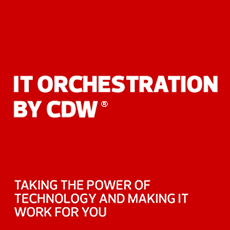 BY RECEIVING THE CLOUD SERVICE DIRECTLY FROM THE THIRD PARTY SERVICE PROVIDER (“CLOUD SERVICE PROVIDER”) OR BY MAKING PAYMENT TO THE CDW AFFILIATE IDENTIFED ON THE SERVICE ORDER FORM ("SELLER"), CUSTOMER AGREES TO BE BOUND BY AND ACCEPTS THESE TERMS AND CONDITIONS UNLESS CUSTOMER AND SELLER HAVE SIGNED A SEPARATE AGREEMENT WHICH EXPRESSLY GOVERNS THE RECEIPT OF CLOUD SERVICES, IN WHICH CASE THE SEPARATE AGREEMENT WILL GOVERN. ANY GENERAL DESCRIPTION OF THE CLOUD SERVICE AND/OR THE RESULTS THEREOF POSTED ON ANY SELLER WEBSITE OR MOBILE APPLICATION DO NOT CONSTITUTE PART OF THE AGREEMENT BETWEEN SELLER AND CUSTOMER. These Terms and Conditions constitute a binding contract between Customer and Seller and are referred to herein as either "Terms and Conditions" or this "Agreement". In addition to any agreement that references or incorporates these Terms and Conditions, Customer accepts these Terms and Conditions by making a purchase from or placing an order with Seller on any Seller website or mobile application (each, a "Site"). These Terms and Conditions are subject to change without prior notice, except that the Terms and Conditions posted on a Site at the time Customer places an order or signs a Customer Service Order Form will govern the order in question, unless otherwise agreed in writing by Seller and Customer. Customer consents to receiving electronic records, which may be provided via a web browser or e-mail application connected to the Internet; individual consumers may withdraw consent to receiving electronic records or have the record provided in non-electronic upon written request to Seller. In addition, Internet connectivity requires access services from an Internet access provider. Contact your local access provider for details. Electronic signatures (or copies of signatures sent via electronic means) are the equivalent of written and signed documents. Customer may issue a Purchase Order for administrative purposes only. Additional or different terms and conditions contained in any such Purchase Order will be null and void. No course of prior dealings between the parties and no usage of trade will be relevant to determine the meaning of these Terms and Conditions or any Purchase Order or invoice, or any document in electronic or written form that is signed and delivered by each of the parties for the performance of the Cloud Services except for Seller’s customer services order form (each, a “Service Order Form”). “Affiliates” means, with respect to Seller, entities that Control, are Controlled by, or are under common Control with Seller; and, with respect to Customer, entities that Control, are Controlled by, or are under common Control with Customer. “Confidential Information” means, subject to the following sentence, any information or data of a confidential nature of a Party, its Affiliates or a third party in oral, electronic or written form that the receiving Party knows or has reason to know is proprietary or confidential and that is disclosed by a Party in connection with these Terms and Conditions or that the receiving Party may have access to in connection with these Terms and Conditions, including but not limited to the terms and conditions of each Statement of Work and/or Purchase Order. Confidential Information does not include Personal Data. "Control" or “Controlled” means the possession, directly or indirectly, of the power to direct or cause the direction of the affairs of another whether by ownership of shares, ability to appoint officers, contract or otherwise. "Force Majeure Event" means any event or circumstance arising which is beyond the reasonable control of Seller (including but not limited to any industrial dispute affecting any third party, carrier delays, embargos, acts of God or acts or laws of governmental regulations or government agencies, severe weather conditions, fire, flood, disaster, failure of power, civil riot, war or terrorism). "Laws" means any applicable federal, state, provincial, local, municipal, regional, foreign, international, multinational or other constitution, law, statute, treaty, rule, regulation, regulatory or legislative requirement, ordinance, license, restriction, judicial or administrative order, code, common law or other pronouncement having the effect of law. “Party” means individually, as applicable, Seller or Customer, and “Parties” means in each instance, Seller and Customer. "Personal Data" means data which relates to a living individual who can be identified (a) from that data, or (b) from that data and other information which is in the possession of, or is likely to come into the possession of, the controller, and includes any expression of opinion about the individual and any indication of the intentions of the controller or any other person in respect of the individual. “Purchase Order” or “PO” means a document that is in electronic form and that contains an offer by Customer to purchase pursuant to these Terms and Conditions at a specified price as the same may be amended or modified from time to time and incorporates these Terms and Conditions. THESE TERMS AND CONDITIONS AND ANY CUSTOMER SERVICE ORDER FORM WILL BE GOVERNED BY THE LAWS OF THE STATE OF ILLINOIS, WITHOUT REGARD TO CONFLICTS OF LAWS RULES. ANY ARBITRATION, ENFORCEMENT OF AN ARBITRATION OR LITIGATION WILL BE BROUGHT EXCLUSIVELY IN COOK COUNTY, ILLINOIS, AND CUSTOMER CONSENTS TO THE JURISDICTION OF THE FEDERAL AND STATE COURTS LOCATED THEREIN, SUBMITS TO THE JURISDICTION THEREOF AND WAIVES THE RIGHT TO CHANGE VENUE. CUSTOMER FURTHER CONSENTS TO THE EXERCISE OF PERSONAL JURISDICTION BY ANY SUCH COURT WITH RESPECT TO ANY SUCH PROCEEDING. Customer and Seller are solely obligated to address and resolve all disputes associated with these Terms and Conditions or any Customer Service Order Form, including any damages or injuries to the Customer’s Affiliates, and all claims related to these Terms and Conditions or any Customer Service Order Form will be brought by Customer in Cook County, Illinois as provided in these Terms and Conditions. Except in the case of nonpayment, neither party nor any Affiliate may institute any action in any form arising out of these Terms and Conditions more than one (1) year after the cause of action has arisen. The rights and remedies provided Seller under these Terms and Conditions are cumulative, are in addition to, and do not limit or prejudice any other right or remedy available at law or in equity. Customer acknowledges that it is receiving the Cloud Services directly from the Cloud Service Provider pursuant to the Cloud Service Provider’s standard terms and conditions or such other terms as agreed upon by Customer and the Cloud Service Provider (“Cloud Services Terms and Conditions”). Accordingly, Customer shall consider the Cloud Service Provider to be the contracting party and the Cloud Service Provider shall be the party responsible for providing the Cloud Services to the Customer and Customer will look solely to the Cloud Service Provider for any loss, claims or damages arising from or related to the provision of such Cloud Services. Seller, or any of its Affiliates on behalf of Seller, may issue an invoice to Customer. All invoiced amounts and payments shall be made in United States Dollars. Any objections to an invoice must be made to Seller within fifteen (15) days after the invoice date. Customer agrees to pay interest on all past-due sums at the lower of one and one-half percent (1.5%) per month calculated daily and compounded monthly (19.56% per annum) or the highest rate allowed by law. In the event of a default in the payment of an invoice, Customer will be responsible for all of Seller's costs of collection, including, but not limited to, court costs, filing fees and attorneys’ fees. In addition to any other means available to place orders, Customer may issue a PO to Seller. POs are not binding on Seller until accepted by Seller. Any issuance of a PO is for administrative purposes only. Any additional or different terms and conditions contained in any PO will be null and void. If any transaction hereunder involves an export of items (including but not limited to, commodities, software or and/or technology) from the United States subject to the Export Administration Regulations, as amended, such export shall be in accordance with such laws or regulations, as applicable. Customer agrees that it will not divert, use, export or re-export any such items contrary to any applicable Laws in the U.S., Canada, European Union (EU) or United Kingdom. Customer expressly acknowledges and agrees that it will not export, re-export, dispose of or otherwise provide such items directly or indirectly: (a) to any entity or person within any country that is subject to U.S., Canadian, EU or United Kingdom economic sanctions, as applicable, imposing comprehensive embargoes without first obtaining prior authorization from the U.S. government, Canadian government, or the UK government, as applicable and (b) to entities and persons that are ineligible under U.S, Canadian, EU or UK law, as applicable, to receive such items. In addition, manufacturers' warranties for exported Cloud Services may vary or may be null and void for Cloud Services exported from the United States. Customer acknowledges that Seller is not the provider of the Cloud Services purchased by Customer hereunder and the only warranties offered are those of the Cloud Service Provider, not Seller or its Affiliates. In purchasing the Cloud Services, Customer relies on the Cloud Service Provider’s service descriptions and the terms and conditions set forth in the Cloud Services Terms and Conditions only and not on any statements, specifications, service descriptions or other specifications representing the Cloud Services that may be provided by Seller or its Affiliates. Customer expressly waives any claim that it may have against Seller or its Affiliates based on any product liability or infringement or alleged infringement of any patent, copyright, trade secret or other intellectual property rights with respect to the Cloud Services and also waives any right to indemnification from Seller or its Affiliates against any such claim made against Customer by a third party. Seller makes no warranties to Customer and Customer hereby acknowledges that Seller makes no warranties in regard to the applicability of all Laws affecting, without limitation the manufacture, performance, sale, packaging and labelling of the Cloud Services which are in force within Customer’s territory or any part of it (Local Regulations). Customer must satisfy itself that the Cloud Services comply with the Local Regulations in force from time to time. Customer further acknowledges and agrees that Seller makes no representations, warranties or assurances that the Cloud Services are designed for or suitable for use in any high risk environment, including but not limited to aircraft or automobile safety devices or navigation, life support systems or medical devices, nuclear facilities, or weapon systems, and Customer shall indemnify, defend and hold Seller, its Affiliates, and its and their directors, officers, employees and agents harmless from any loss (of any kind), cost, damage or expense (including, but not limited to, attorneys’ fees and expenses) arising from any such use of the Cloud Services. Customer further agrees to review and comply with the Cloud Service Provider’s disclaimers and restrictions, if any, regarding the use of the Cloud Services, in high risk environments. EXCEPT AS SET FORTH IN ANY CUSTOMER SERVICE ORDER FORM, AND SUBJECT TO APPLICABLE LAW, SELLER MAKES NO OTHER, AND EXPRESSLY DISCLAIMS ALL OTHER REPRESENTATIONS, WARRANTIES, CONDITIONS AND COVENANTS, EITHER EXPRESS OR IMPLIED (INCLUDING WITHOUT LIMITATION, ANY EXPRESS OR IMPLIED WARRANTIES OR CONDITIONS OF FITNESS FOR A PARTICULAR PURPOSE, MERCHANTABILITY, SATISFACTORY QUALITY, DURABILITY, ACCURACY OR NON-INFRINGEMENT) ARISING OUT OF, OR RELATED TO, THE CLOUD SERVICES OR THE HARDWARE OR SOFTWARE USED TO DELIVER THE CLOUD SERVICES. FURTHERMORE, SELLER DOES OT WARRANT THAT THE CLOUD SERVICES WILL BE TIMELY, UNINTERRUPTED OR ERROR FREE OR THAT THE CLOUD SERVICES WILL MEET CUSTOMER’S REQUIREMENTS. THE DISCLAIMER CONTAINED IN THIS PARAGRAPH DOES NOT AFFECT THE TERMS OF ANY CLOUD SERVICE PROVIDER’S WARRANTY. THIS DISCLAIMER AND EXCLUSION SHALL APPLY EVEN IF THE EXPRESS WARRANTY AND LIMITED REMEDY SET FORTH HEREIN FAILS OF ITS ESSENTIAL PURPOSE. THE TERMS OF THIS PARAGRAPH DOES NOT AFFECT THE TERMS OF ANY WARRANTIES FROM THE CLOUD SERVICES PROVIDER. CUSTOMER ACKNOWLEDGES THAT NO REPRESENTATIVE OF SELLER OR OF ITS AFFILIATES IS AUTHORIZED TO MAKE ANY REPRESENTATION OR WARRANTY THAT IS NOT IN THESE TERMS AND CONDITIONS. Customer shall be solely responsible for daily back-up and other protection of its data and software against loss, damage or corruption. Customer shall be solely responsible for reconstructing data (including but not limited to data located on disk files and memories) and software that may be lost, damaged or corrupted during the performance of Cloud Services. SELLER, ITS AFFILIATES, AND ITS AND THEIR SUPPLIERS, SUBCONTRACTORS AND AGENTS ARE HEREBY RELEASED AND SHALL CONTINUE TO BE RELEASED FROM ALL LIABILITY IN CONNECTION WITH THE LOSS, DAMAGE OR CORRUPTION OF DATA AND SOFTWARE, AND CUSTOMER ASSUMES ALL RISK OF LOSS, DAMAGE OR CORRUPTION OF DATA AND SOFTWARE IN ANY WAY RELATED TO OR RESULTING FROM THE CLOUD SERVICES. Seller shall not be liable for any loss or damage suffered or incurred by Customer arising from Seller's delay or failure to fulfil or otherwise discharge any of its obligations under these Terms and Conditions or any Customer Service Order Form or PO where such delay or failure is caused by any non-performance of its obligations by Customer, industrial dispute, sudden or substantial depletion of Seller's staff, or any Force Majeure Event. Seller reserves the right to make adjustments to pricing and Cloud Services offerings for reasons including, but not limited to, changing market conditions, Cloud Services discontinuation, Cloud Services unavailability, and Cloud Service Provider price changes. Therefore, Seller cannot guarantee that it will be able to fulfill Customer’s orders. UNDER NO CIRCUMSTANCES AND NOTWITHSTANDING THE FAILURE OF ESSENTIAL PURPOSE OF ANY REMEDY SET FORTH HEREIN, WILL EITHER PARTY, ITS AFFILIATES OR ITS OR THEIR SUPPLIERS, SUBCONTRACTORS OR AGENTS BE LIABLE FOR: ANY LOSS OF PROFITS, LOSS OF SALES OR TURNOVER, LOSS OR DAMAGE TO REPUTATION, BUSINESS, REVENUES OR SAVINGS, LOSS, DAMAGE OR CORRUPTION OF DATA OR SOFTWARE, OR ANY INCIDENTAL, INDIRECT, SPECIAL, PUNITIVE OR CONSEQUENTIAL DAMAGES, EVEN IF THE PARTY HAS BEEN ADVISED OF THE POSSIBILITIES OF SUCH DAMAGES OR IF SUCH DAMAGES ARE OTHERWISE FORESEEABLE, IN EACH CASE, AND WHETHER A CLAIM FOR ANY SUCH LIABILITY IS PREMISED UPON BREACH OF CONTRACT, WARRANTY, NEGLIGENCE, STRICT LIABILITY OR OTHER THEORY OF LIABILITY. THE ENTIRE LIABILITY OF EACH PARTY AND ITS AFFILIATES FOR DAMAGES FROM ANY CAUSE WHATSOEVER WILL NOT EXCEED THE LESSER OF: (A) THE AMOUNT PAID OR PAYABLE BY CUSTOMER FOR THE CLOUD SERVICE(S); OR (B) $100,000. ALL EXCLUSIONS AND LIMITATIONS IN THESE TERMS AND CONDITIONS AND/OR ANY PURCHASE ORDER SHALL ONLY APPLY SO FAR AS PERMITTED BY LAW. Each Party anticipates that it may be necessary to provide access to Confidential Information to the other Party in the performance of these Terms and Conditions, the Customer Service Order Form and/or any PO. Confidential Information does not include information that: (a) becomes known to the public through no act of the receiving Party; (b) was known to the receiving Party prior to disclosure; (c) is made known to the receiving Party by a third party having the right to disclose it; or (d) is independently developed by Personnel of the receiving Party who have not had access to such information. Each Party agrees that it will maintain the confidentiality of the other Party's Confidential Information for a period of three (3) years following the date of disclosure and will do so in a manner at least as protective as it maintains its own Confidential Information of like kind but in no event with less than a reasonable degree of care. Disclosures of the other Party's Confidential Information will be restricted (i) to those individuals with a need to know such Confidential Information in connection with these Terms and Conditions, any Customer Service Order Form and/or any PO, and (ii) to a Party’s business, legal and financial advisors bound by a confidentiality obligation. Each Party agrees not to use any Confidential Information of the other Party for any purpose other than the business purposes contemplated by these Terms and Conditions, any Customer Service Order Form and/or any PO. At the written request of a Party, the other Party will either return, or certify the destruction of, such Party’s Confidential Information. If a receiving Party is required by law, rule or regulation, or requested in any judicial or administrative proceeding or by any governmental or regulatory authority, to disclose Confidential Information of the other Party, the receiving Party will give the disclosing Party prompt notice of such request so that the disclosing Party may seek an appropriate protective order or similar protective measure and will use reasonable efforts to obtain confidential treatment of the Confidential Information so disclosed. Any claim, dispute, or controversy (whether in contract, tort or otherwise, whether preexisting, present or future, and including, but not limited to, statutory, common law, intentional tort and equitable claims capable in law of being submitted to binding arbitration) arising from or relating to the Cloud Services, the interpretation or application of these Terms and Conditions or any Customer Service Order Form or the breach, termination or validity thereof, the relationships which result from these Terms and Conditions or any Service Order Form (including, to the full extent permitted by applicable law, relationships with third parties who are not signatories hereto), or Seller's or any of its Affiliates' advertising or marketing (collectively, a “Claim”) WILL BE RESOLVED, UPON THE ELECTION OF ANY OF SELLER, CUSTOMER OR THE THIRD PARTIES INVOLVED, EXCLUSIVELY AND FINALLY BY BINDING ARBITRATION. If arbitration is chosen, it will be conducted pursuant to the Rules of the American Arbitration Association. If arbitration is chosen by any party with respect to a Claim, neither Seller nor Customer will have the right to litigate that Claim in court or to have a jury trial on that Claim or to engage in pre-arbitration discovery, except as provided for in the applicable arbitration rules or by agreement of the parties involved. Further, Customer will not have the right to participate as a representative or member of any class of claimants pertaining to any Claim. Notwithstanding any choice of law provision included in these Terms and Conditions, this arbitration agreement is subject to the Federal Arbitration Act (9 U.S.C. §§ 1-16). The arbitration will take place exclusively in Chicago, Illinois. Any court having jurisdiction may enter judgment on the award rendered by the arbitrator(s). Each party involved will bear its own cost of any legal representation, discovery or research required to complete arbitration. The existence or results of any arbitration will be treated as confidential. Notwithstanding anything to the contrary contained herein, all matters pertaining to the collection of amounts due to Seller arising out of the Cloud Services will be exclusively litigated in court rather than through arbitration. These Terms and Conditions and the Customer Service Order Form, if applicable, contains the entire understanding of the Parties with respect to the subject matters herein and supersedes and replaces in their entirety any and all other prior and contemporaneous agreements and understandings, whether oral, written, electronic or implied, if any, between the Parties hereto with respect to the subject matter hereof. Each Party acknowledges that it has not relied on any statements, warranties or representations given or made by any other party under or in relation to these Terms and Conditions, save those expressly set out in these Terms and Conditions. Each Party further acknowledges that it shall have no rights or remedies with respect to such subject matter other than under these Terms and Conditions. No course of prior dealings between the Parties and no usage of trade will be relevant to determine the meaning of these Terms and Conditions or invoice related thereto. Except where the context otherwise requires, words denoting the singular include the plural and vice versa, words denoting any gender include all genders, and words denoting persons include firms and corporations and vice versa. No provision of these Terms and Conditions or any Customer Service Order From will be deemed waived, amended or modified by either Party unless such waiver, amendment or modification is in writing and signed by both Parties. Any delay or failure by either Party to exercise any right or remedy will not constitute a waiver of that Party to enforce such rights thereafter. Seller may assign or subcontract all or any portion of its rights or obligations under these Terms and Conditions to any of its Affiliates or assign the right to receive payments to any of its Affiliates, without Customer's consent. Seller shall be responsible for the performance of any of its Affiliates subcontractors or assignees under these Terms and Conditions. Customer may not assign these Terms and Conditions or any of its rights or obligations herein without the prior written consent of Seller. Subject to the restrictions in assignment contained herein, these Terms and Conditions will be binding on and inure to the benefit of the Parties hereto and their successors and assigns. If any term or condition of these Terms and Conditions is found by a court of competent jurisdiction to be invalid, illegal or otherwise unenforceable, the same shall not affect the other terms or conditions hereof. The relationship between Seller and Customer is that of independent contractors and not that of employer/employee, agency, partnership or joint venture. Accordingly, except as expressly authorized herein, no Party shall have any authority to act or make representations on behalf of the other Party, and nothing herein shall impose liability on a Party in respect of any liability incurred by another Party to a third party. Notices provided under these Terms and Conditions will be given in writing and deemed received upon the earlier of actual receipt the third (3rd) day after postage prepaid mailing by regular mail or airmail, or the first (1st) day after such notice is sent by courier. Electronic signatures (or copies of signatures sent via electronic means) are the equivalent of handwritten signatures. Each Customer Service Order Form may be signed in separate counterparts each of which shall be deemed an original and all of which together will be deemed to be one original.